The true story of Whitey Bulger, the brother of a state senator and the most infamous violent criminal in the history of South Boston, who became an FBI informant to take down a Mafia family invading his turf. 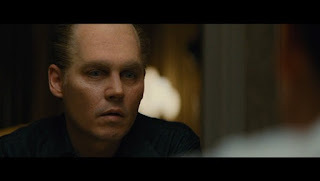 'Black Mass' in HD. Courtesy Warner Bros. In 1970s South Boston, FBI Agent John Connolly persuades Irish mobster James "Whitey" Bulger (Johnny Depp) to collaborate with the FBI and eliminate a common enemy: the Italian mob.